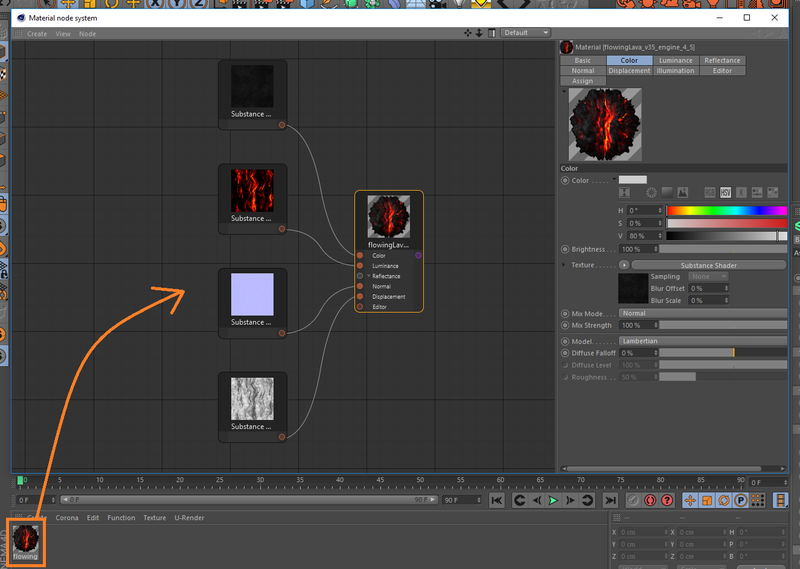 Since the release of Cinema 4D R17, Allegorithmic's Substance is now embedded into it. And to make the news even better, Corona Renderer can render these material assets with ease. In this short guide we will look at importing a Substance asset and how they can be used in Corona Renderer's Material Node System. 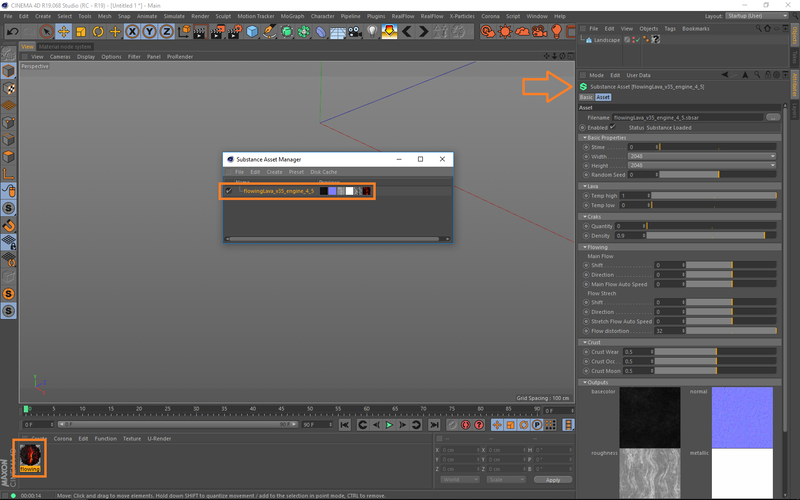 Depending on your version of Cinema 4D, the Substance loader can be found in either Cinema 4D's plugin drop down menu or in newer versions, Pipeline>Substance Engine>Substance Asset Manager. With the Substance Asset Manager window open, press File>Load Substance... and locate your .sbsar file. After a short waiting period, your Substance asset will now be loaded into view and also directly into the Cinema 4D's material editor. You will also notice a large variety of settings associated with your Substance asset as pointed out by the arrow in the 2nd image below. These settings can be fine tuned on the fly until you have a look that you are happy with. We can now load our Substance asset directly into Corona Renderer's Material Node System. 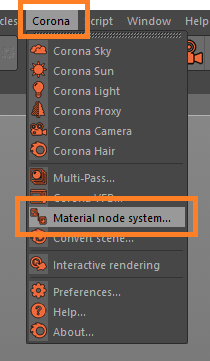 You can locate the node system in the Corona drop down menu in the main tool bar, Corona>Material Node System. Once open, simply drag and drop your Substance asset in. Corona Renderer will automatically lay out your connected nodes in a neat and tidy fashion. You will need to install the latest release V3 of Corona Renderer for Cinema 4D to take advantage of the Material Node System. You can get it from the following link for a free trial of 45 days or by purchasing a subscription! With our Substance asset successfully loaded into Cinema 4D and set up in Corona Renderer's Material Node System, we can go ahead a assign the asset to our mesh.